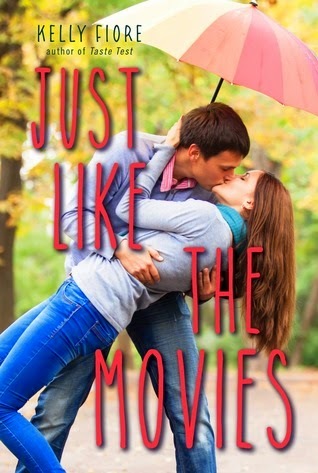 Just Like the Movies was a cutesey, feel-good summer read that I devoured in a day. With humorous moments and likeable characters, it's easy to enjoy this book. However, I do have to say that there's no real substance to it and it honestly doesn't stick out in my mind as a particularly memorable contemporary book. The romance was okay-ish. Honestly, I didn't find either of the boys that Lily and Marijke are interested in particularly appealing - especially Marijke's! The boys' characters were a little bland and cookie-cutter for me. I had my fingers crossed that their love stories wouldn't turn out to be so predictable, but it turned out the same way it would in your typical romantic comedy. A little disappointing for me, but I suppose if you love happily-ever-after endings you'll like it. I also found the ending to be a little rushed. Everything worked out just perfectly just in time. But that and the slightly boring romance are my only complaints. Otherwise, I found this story to be utterly charming. I laughed at the characters' crazy schemes and found them to be very quirky and relatable, and I was pleased at the great development of minor characters like Lily and Marijke's families. Definitely check out this book if you feel like being entertained with a fun, fast read. I certainly enjoyed it, and this is the kind of author whose books I'll reach for when it's summer and I want a good beach read. It's not a favorite contemporary of mine, but it's still oh-so-fun and worth reading.